Not that it was a secret, but Motorola has finally posted some information on the Motorola MPx220. It's the successor to the MPx200, and has been rumored for well over 6 months. A rough draft press release was leaked a few weeks ago, leading to even more speculation. 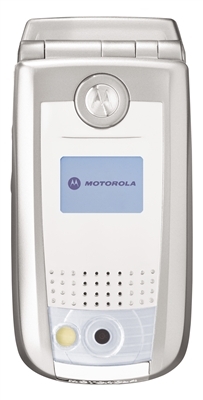 Here are some of the bigger features: * 64MB Flash ROM and mini SD card with up to 512 MB removable memory for extra storage * Microsoft Pocket PC 2003 OS * Bluetooth * 1.3 mega pixel camera, 3x zoom and flash A ship date was not announced. Full specs follow below. Summary of Features * Microsoft Pocket PC 2003 operating system allows compatibility with all Pocket PC applications * Smartphone OS designed to match and transpose the Outlook desktop experience * Global Quad Band Performance * Integrated 1.3 Mega pixel camera, 3x zoom, flash and self-portrait capabilities make it possible to capture your business and personal encounters with ease * Bluetooth� connectivity and speaker phone to allow hands free conversations * 64MB Flash ROM and mini SD card with up to 512 MB removable memory for extra storage * MMS messaging features for sending pictures, animations, wallpaper, icons and more * Downloading capabilities for adding on new games, musical ringtones, business applications and more at any whim * Works with optional accessories including Bluetooth Car Kit, 3rd Gen Bluetooth Headset, Bluetooth Stereo Headset, Bluetooth Headset (Rip Curl), Bluetooth Headset (Hammer), Bluetooth SIHF Car Kit, Retractable Self Install Car Kit, Professional Install Car Kit, Retractable Headset, One Touch Headset, USB Data Cable, Travel Charger (Low Cost) and Vehicle Power Adapter (Gadwall), etc.